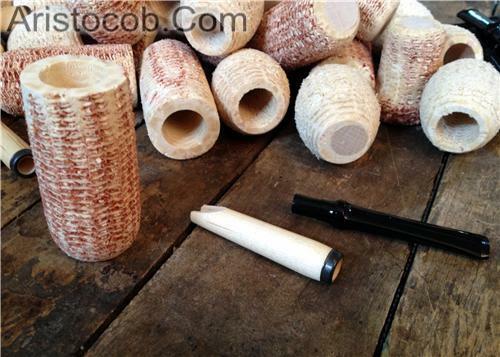 This DIY corn cob pipe kit is one of three styles available for our Cobfoolery contest, which runs the month of April. More information about the contest is available at www.Cobfoolery.com. The cob is drilled for the chamber, but will need to be drilled by you for the included wooden shank. The bottom of the cob is plug with a hardwood plug to prevent burn-through. The stem of your new pipe will accept a Medico filter but can be smoked with or without one. We include one filter, so if you intend to use filters you might consider adding a pack or two of our inexpensive filters to your order.